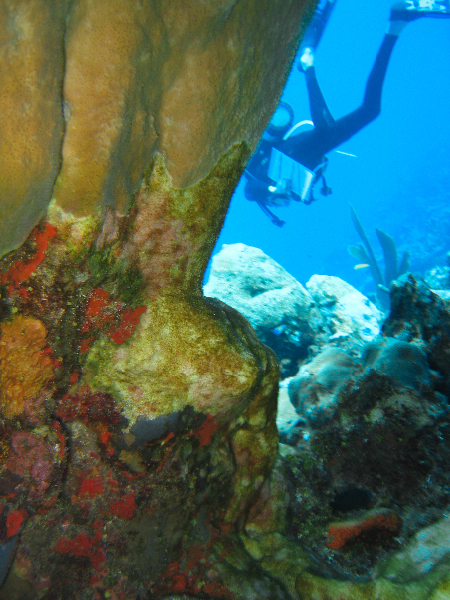 A member of the science team conducts a survey behind Elkhorn Coral. 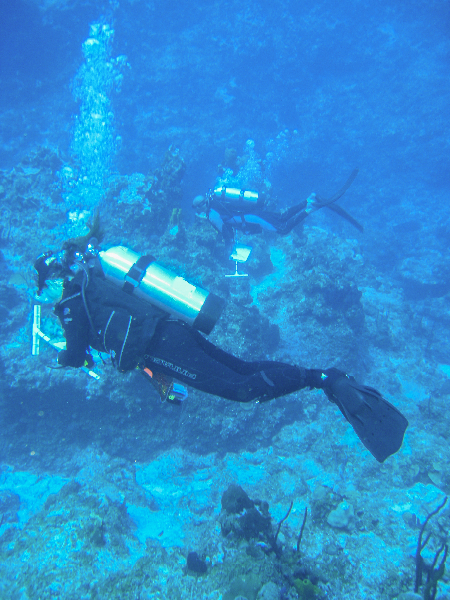 Members of the Science team conduct a fish survey. 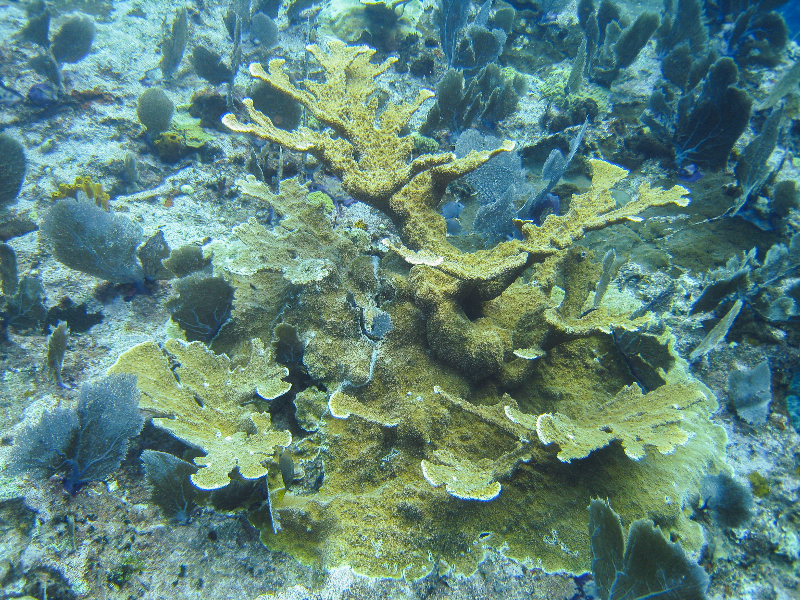 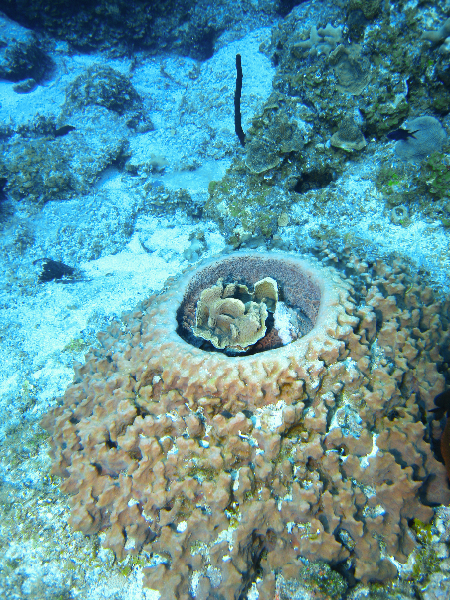 Leathery Barrel Sponge with Lettuce Coral. 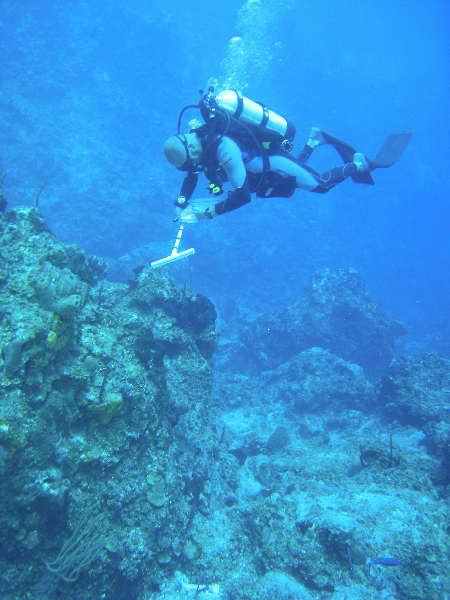 A member of the Science team conducts a fish survey. 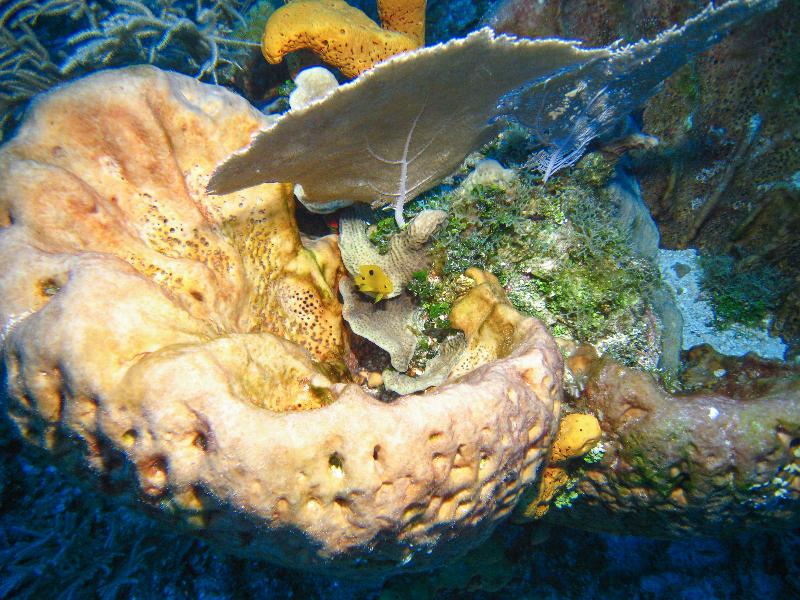 Leathery Barrel Sponge with Lettuce Coral, Sea Fans and a juvenile Rock Beauty. 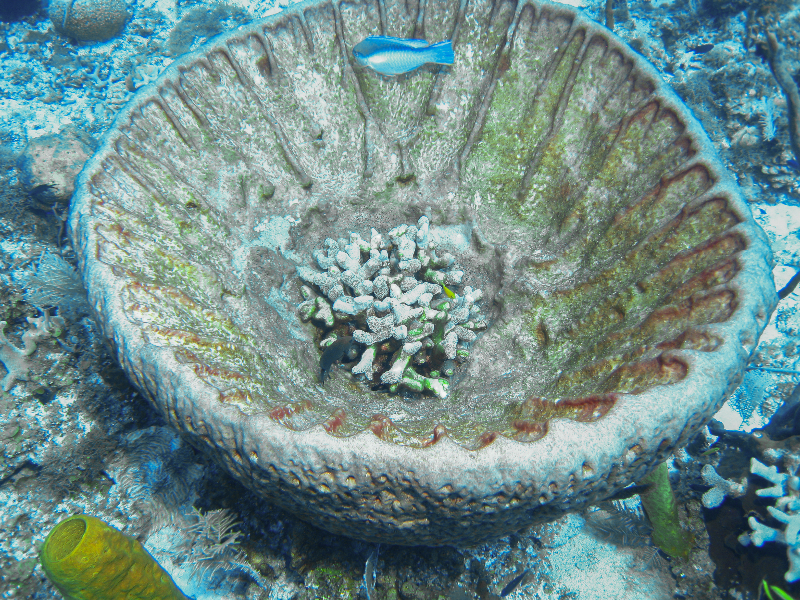 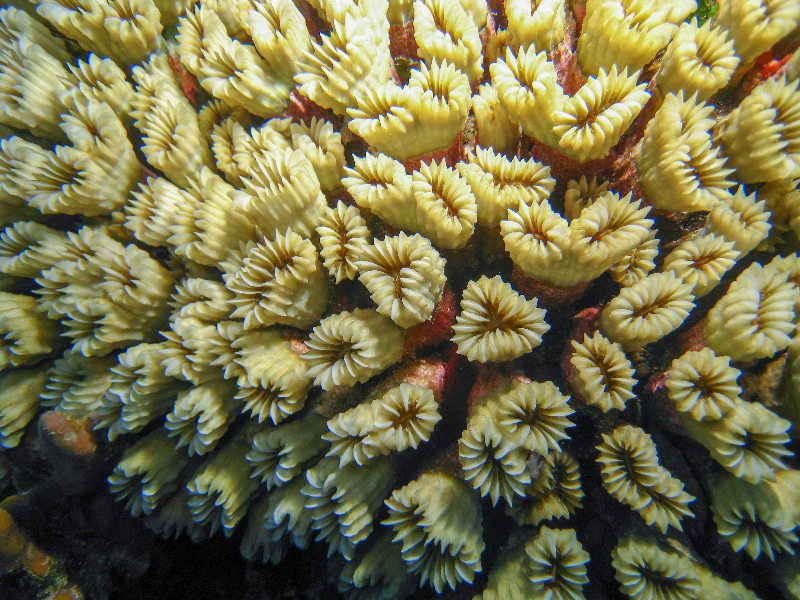 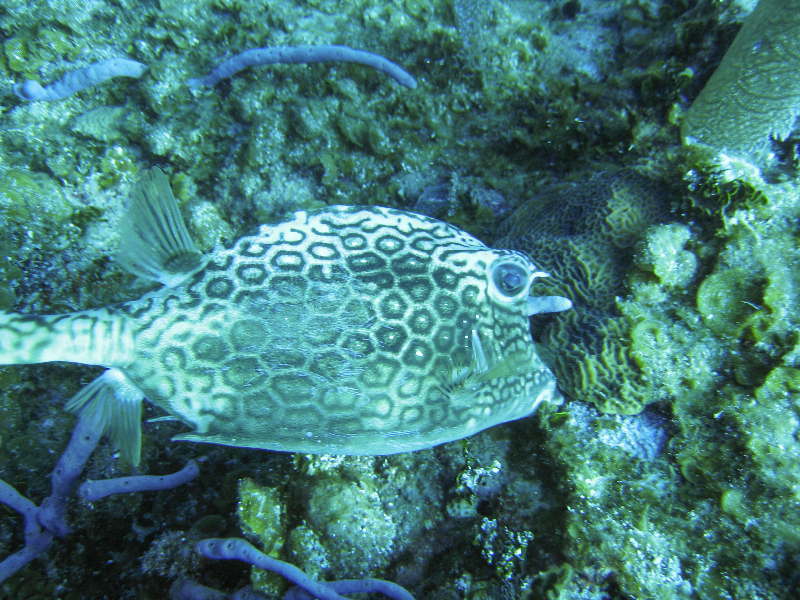 Leathery Barrel Sponge with Finger Coral and several types of fish. 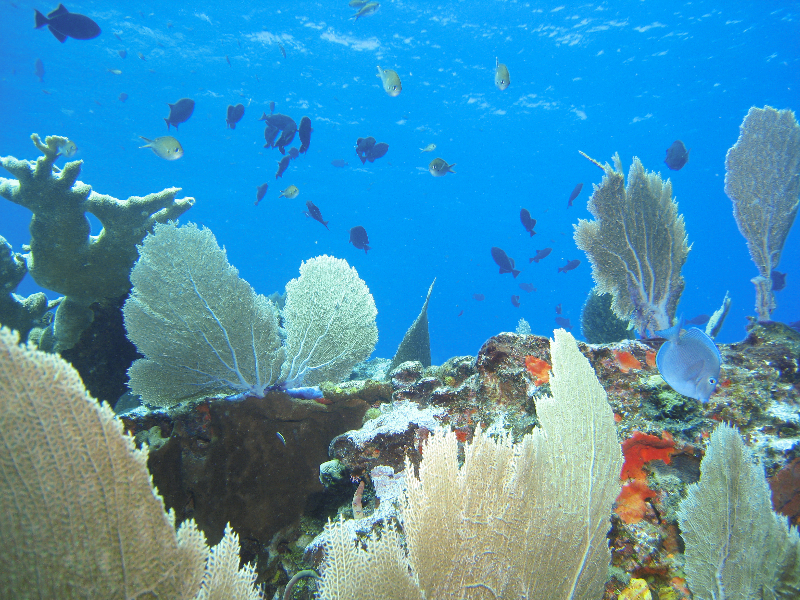 Blue Tang, Brown Chromis, and Black Durgon dot this coralscape with Elkhorn Coral and Sea Fans.